She integrates the wondrous colours of real semi-precious stones, the lustre of freshwater pearls, shell and the sparkle of fine European crystals to create truly one of a kind pieces to enhance your fashion image. For Wendy, the design process is all about combining colour, texture, and the interactions of light. The end point is to have works you can wear with joy. Wendy's initial forays into jewellery design were fundraising efforts for a health charity for which she is a board director. She has continued, expanding her skills and experimenting with new materials and endless design possibilities. 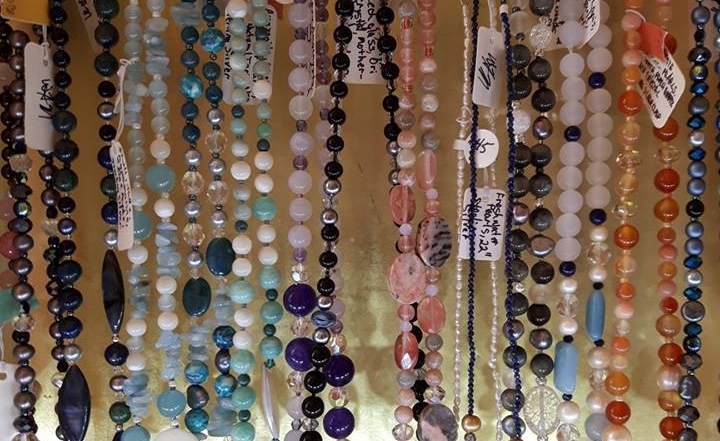 Along the way she has found a real passion for the beauty of gemstones, crystals and pearls, and the surprising ways they can complement each other. Follow WHM DESIGNS on Facebook! Shop WHM DESIGNS at NookFEST Community Arts and Music Festival!